Commissioned by Francophile President Porfirio Díaz, this white marble palace would be right at home in Paris with its art nouveau style and deco interior—until you glimpse the walls. Murals by Mexico’s most inflammatory and revered artists (Orozco, Rivera, Siqueiros) disrupt and beguile. Centro Histórico; Av. Juárez; . Witness how ancient Mesoamerican civilizations lived, from the Olmec to the Aztecs, and experience the rich indigenous cultures of today. Polanco; Av. Paseo de la Reforma y Calzada Gandhi; . 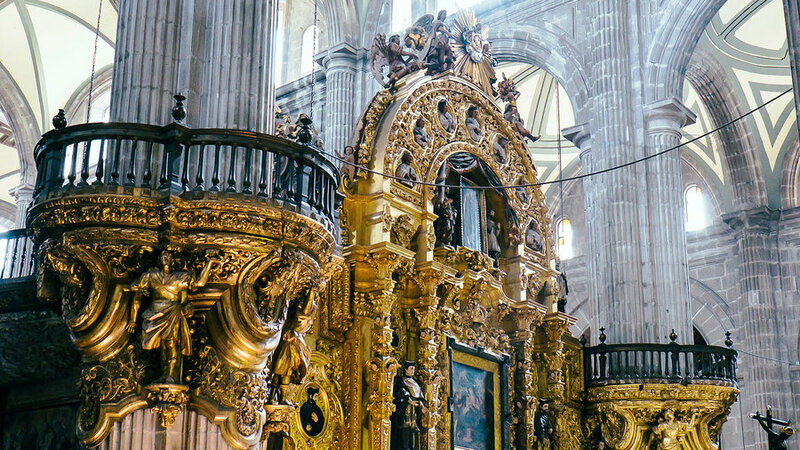 This sprawling cathedral is the biggest in Latin America, an ornate Spanish baroque façade flanked by twin bell towers. An army of architects, artists, and sculptors worked on it over the centuries, starting as far back as 1573. Centro Histórico; Plaza de la Constitución; . Geared toward adventurous travelers, this guided tour delivers a thrilling assault on the senses. 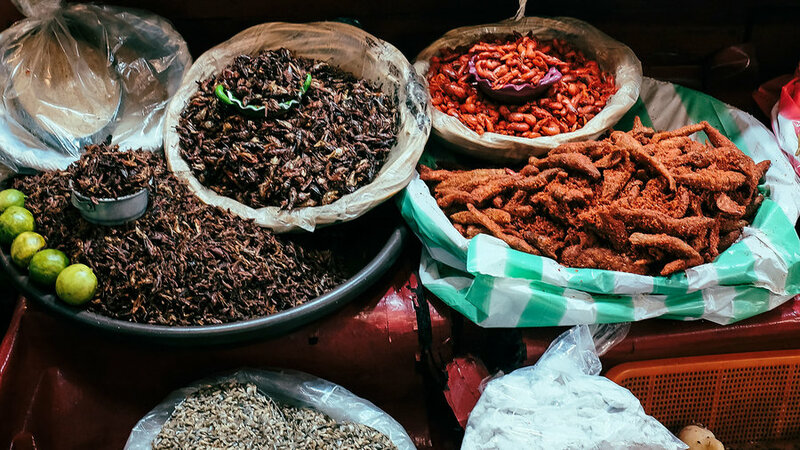 You’ll see everything the colossal market has to offer, from fresh produce to fresh tacos, and all the clothing, candy, chiles, tamales, and kitchen utensils in between. Centro Histórico; . 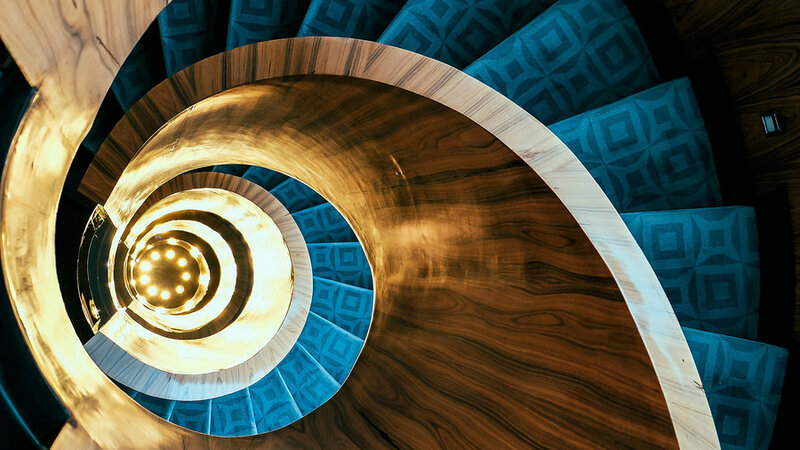 There’s no shortage of luxury hotels in Polanco, but this one delivers on both style and service, from the spiral rosewood staircase in the lobby to the fresh-squeezed welcome drinks to the fully wired guest rooms. Polanco; from $414 U.S.; Presidente Masaryk 390; . 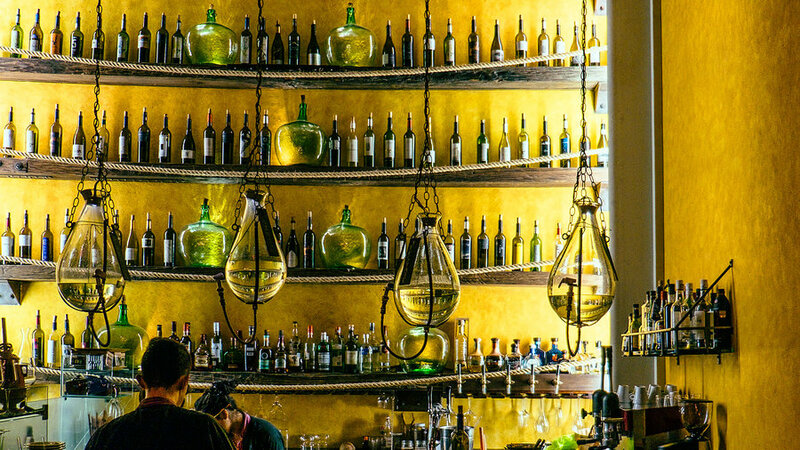 Named for the 400-year-old walls originally built from donated stone, this upscale spot is evidence of the Centro’s revival. Contemporary dishes include inky hibiscus-stuffed flautas and poached pears with bone marrow and housemade granola. Centro Histórico; Av. Ignacio Allende 3; . 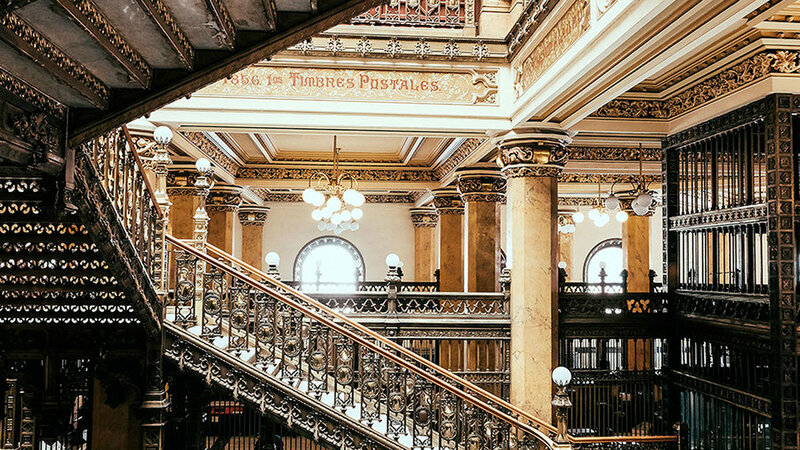 Another product of belle epoque extravagance, the central post office, in elaborate Italianate style, features what is easily Mexico’s most opulent staircase. 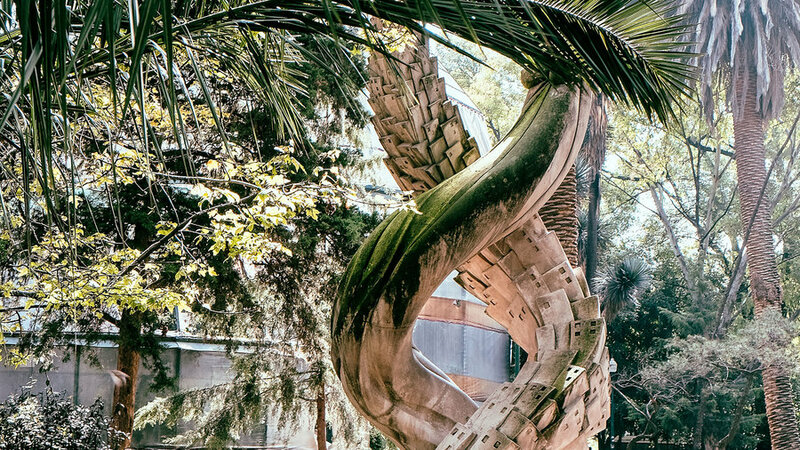 Climb this marble and bronze monster with its motif-laden balustrades, then live out your most glorious Cagney-esque fantasies on the way down. Centro Histórico; C. Tacuba 1; . 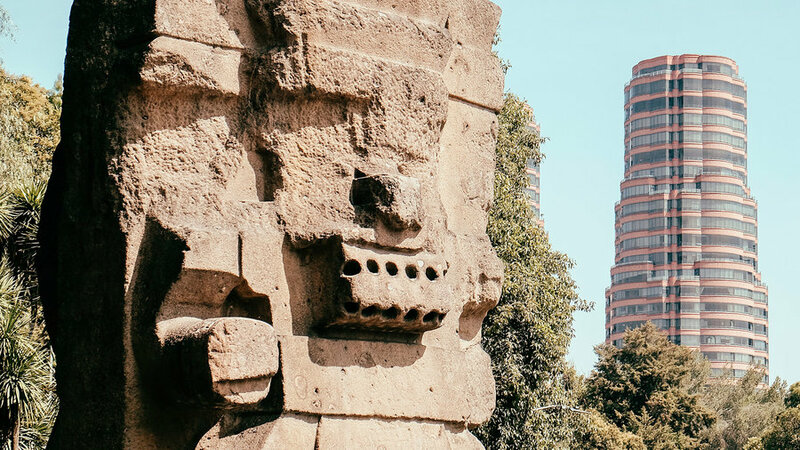 Oaxaca-born artist Rufino Tamayo had this cement block of a museum built in Bosque de Chapultepec to showcase his personal collection of contemporary art, including his own work, which he donated to the people of Mexico. Polanco; Paseo de la Reforma 51; . The century-old grand-daddy of authentic cantinas is as lively as ever. Patrons propped against the wood bar sometimes burst into song; conversation in the narrow booths skews boisterous. Centro Histórico; Av. Independencia 26; +011 52 (55) 5521-9136. 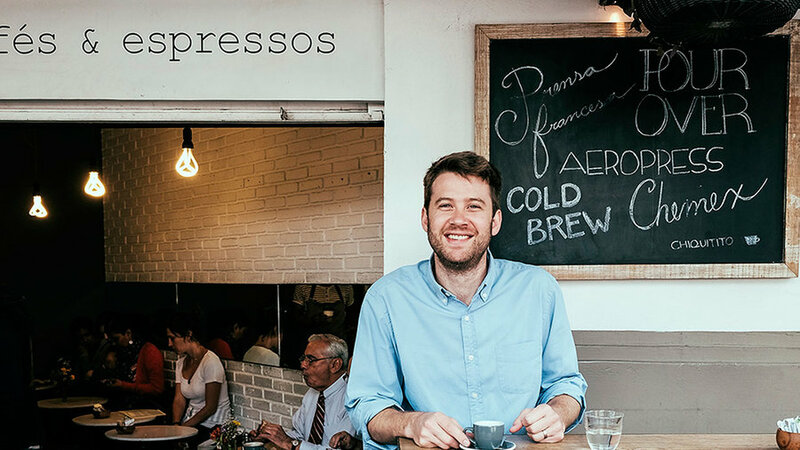 This tiny husband/wife-run coffee bar has a sizable menu of artful espresso drinks, just about every low-tech brewing method imaginable, and glorious conchas. And the beans are Mexican, from a coffee farm in Veracruz. La Condesa; Av. Alfonso Reyes 232E; . 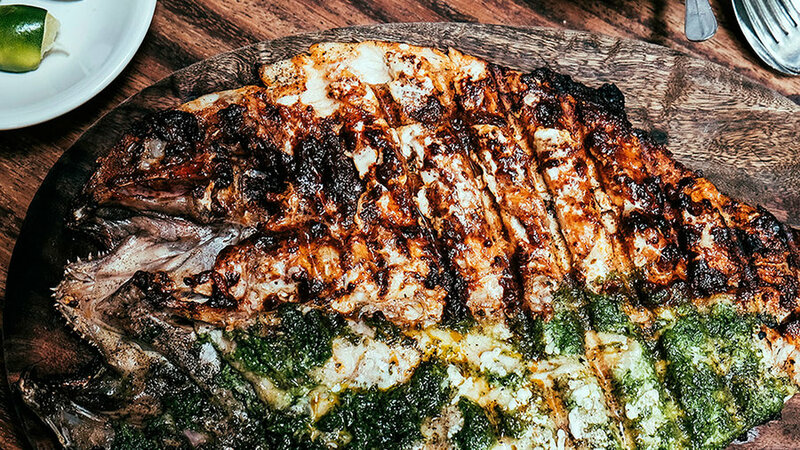 This popular lunch spot launched chef Gabriela Cámara onto the culinary world stage with her traditional take on fresh seafood. The delicate tostadas de atún (tuna tostadas) are a must, and can be had at Cala, her new San Francisco restaurant. Roma; C. Durango 200; . 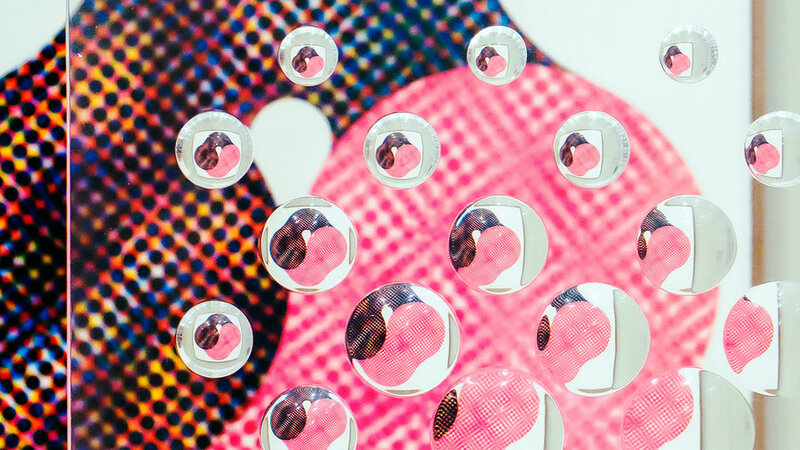 Open since 2013, it lays claim to one of the largest contemporary collections in Latin America. 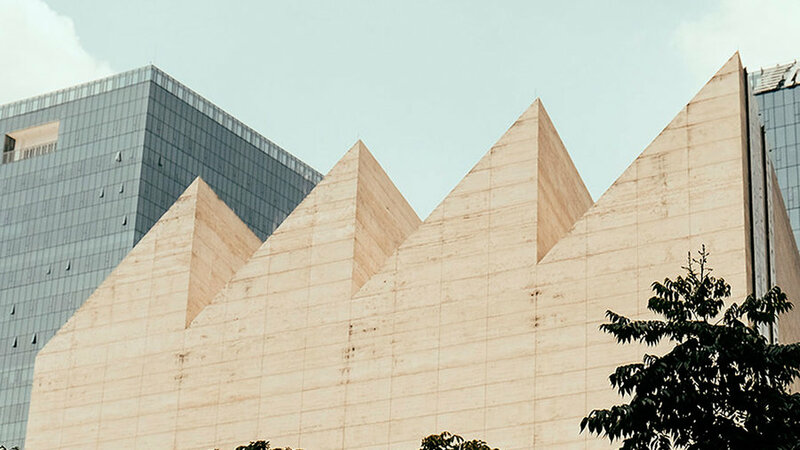 The starchitect-built building, with its notable sawtooth form, is almost as much of a draw as the art inside. Polanco; Av. Miguel de Cervantes Saavedra 303; . You’ll have to go through the refrigerator door of a taco joint to find this cleverly hidden gem of a watering hole. 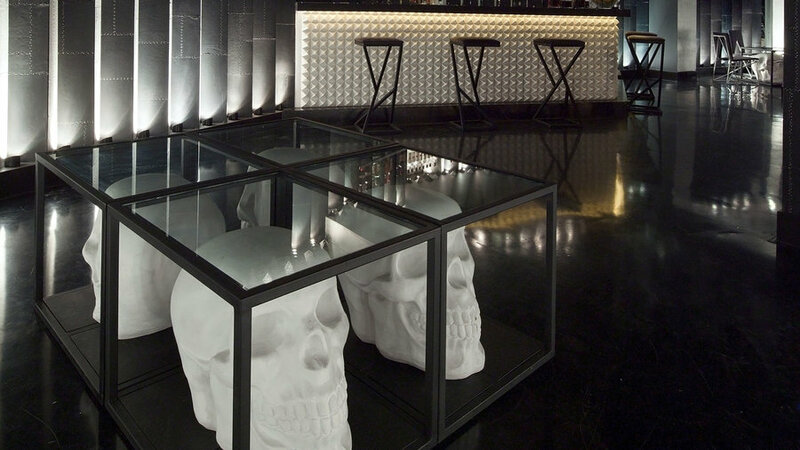 The glitzy interior is all black leather and glass tables with gleaming white skulls encased. 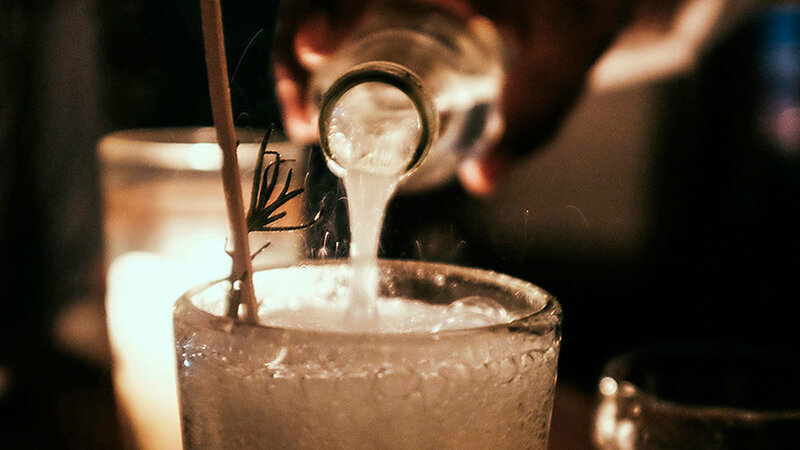 Cocktails play on the classics. Polanco; C. Julio Verne 93; . 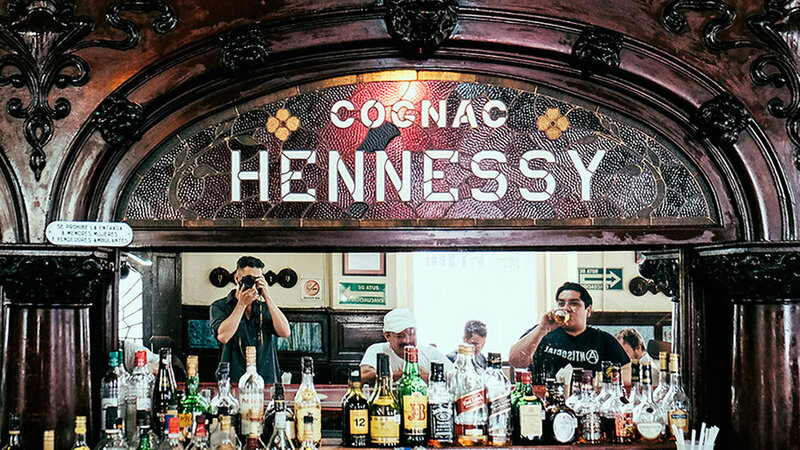 You could schlep around D.F.’s hip bakeries, cafes, and antojerias. Or you could just head here. The gourmet market and food hall draws chilangos clamoring for Umami Burritos, heritage corn quesadillas, and artisanal cheese. Roma; C. Querétaro 225; . 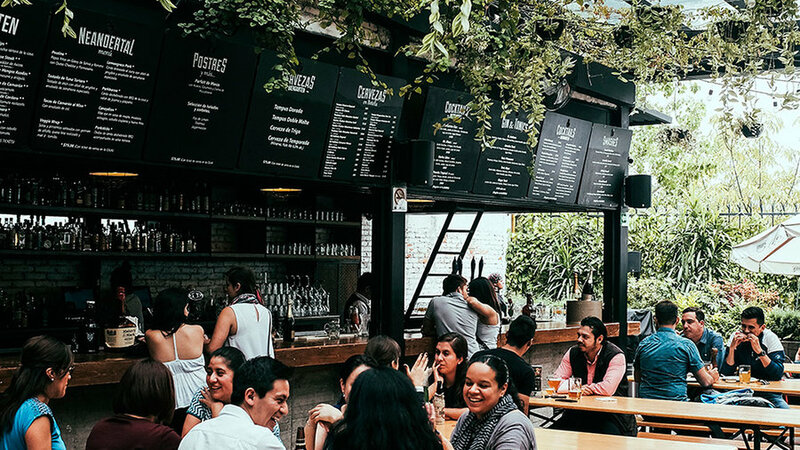 Since it opened, it’s breathed fresh air into D.F.’s culinary scene while paying homage to Mexican tradition. 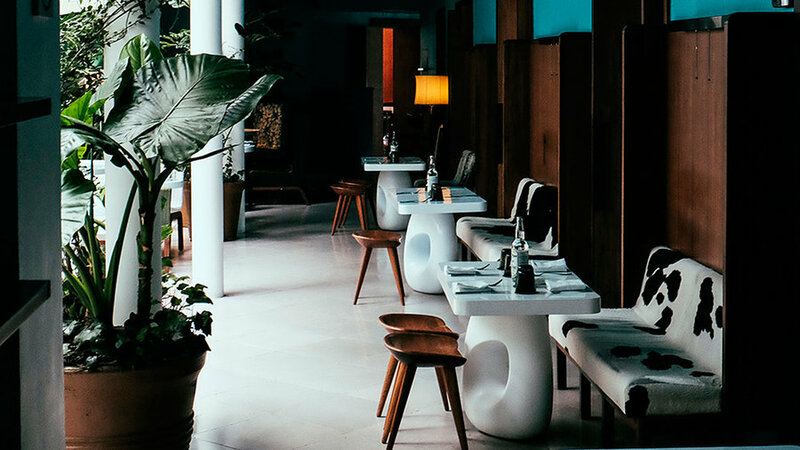 The room is airy and minimalist, and dishes are given a French treatment but use local and indigenous ingredients. Roma; C. Tonalá 133; . Traffic is no joke in D.F. 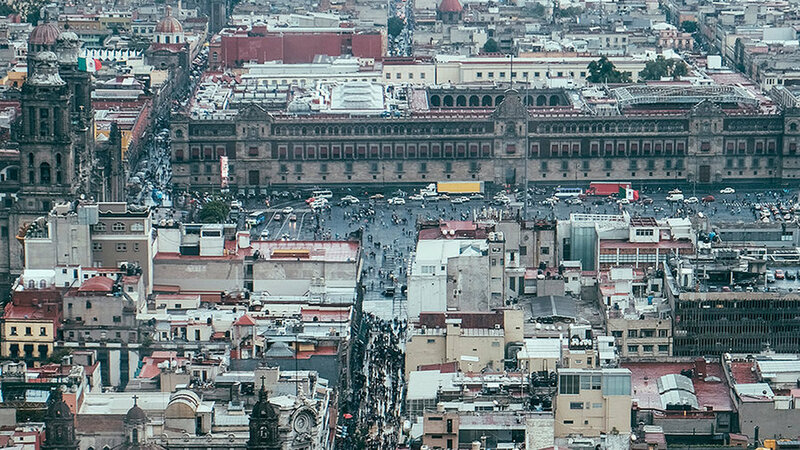 (or Distrito Federal, as the city’s tourist-friendly section is known). 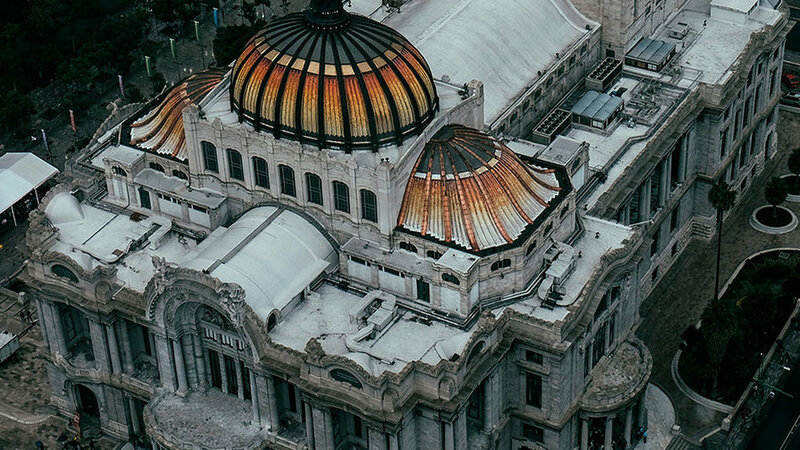 Mexico City’s underground metro system is cheap and easy and can get you almost anywhere you need to go (), but if you’re looking to maximize your time on the ground, Uber is your friend.